Pirates of the Caribbean: Cakes for Me Mateys! 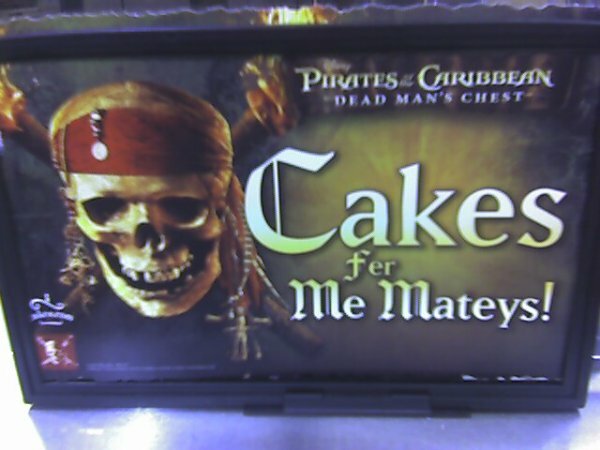 Gallery Miscellaneous Pirates of the Caribbean: Cakes for Me Mateys! I was at the grocery store and saw this over at the bakery. CAKES. FOR ME MATEYS.